AROOSTOOK COUNTY - A major player in the construction industry is the latest to join the Aroostook Partnership for Progress (APP). Cianbro, which operates in 40 states, but is Maine based, has invested to help APP grow the economy of Aroostook County. "It's great to have Cianbro onboard," said Bob Dorsey, APP President, "They are a high profile, dynamic company that cares greatly about economic development all across Maine and they appreciate the fact that APP and the private sector are so engaged in leading economic efforts here in The County." Throughout its 65-year history, Cianbro has safely and efficiently planned, managed and constructed many technically complex, historic and environmentally sensitive projects, for a wide variety of public and private clients. A total commitment to safety combined with the enthusiasm of an innovative team of construction professionals, has enabled Cianbro to build a durable reputation for completing projects safely, on schedule and within budget. Founded in 1949 by the Cianchette Brothers, Cianbro is now one of the United States' largest, most diverse, successful, open shop, 100 percent employee-owned, construction companies, which employs 4,000 team members. Since 1949, Cianbro has been an experienced leader in both building and heavy construction. Ranked #111 on Engineering News Records' (ENR) 2011 The Top 400 Contractors, Cianbro is best known for self-perform capabilities and innovative, hands-on construction techniques. Right after investing in APP, two company officials attended Aroostook Day at the Legislature. Tim Walton, Director of External Affairs and Darryl Brown, Program Manager, participated in the event, which drew a record number of lawmakers this year. A complete list of investors in the Partnership can be found at www.appme.org. CARIBOU - More than 30 forest products industry representatives, bankers, educators, economic and workforce development officials and others met for the second Northern Forest Products Industry Cluster meeting Thursday, Feb. 26, at Northern Maine Development Commission in Caribou. The cluster was formed with the goals of increasing value added processing (current and potential), create jobs and grow the forest economy of Aroostook and Maine. The group, which represents the majority of the industry facets, met for the first time in January to discuss opportunities and challenges. 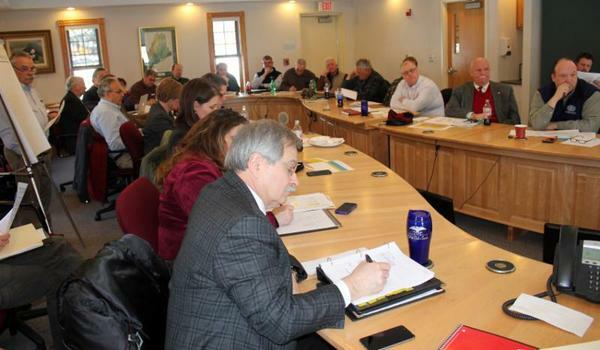 The second meeting was to solidify the inputs and set up a timeline, but more importantly, according to Aroostook Partnership for Progress President Bob Dorsey, to set and refine the priorities for focus areas we want to engage. "We want to build a groundswell to show the importance of this sector," said Dorsey. "Input at the meeting was excellent. We stressed to the participants that they are in charge of the cluster's efforts. It is all about making them and this sector more successful and then pave the way for expanding on current and new opportunities." "I think it is important that the major stakeholders collaborate and share ideas to maximize opportunities in this sector," said Jason House, vice president TD Bank. In determining the priorities, meeting facilitator Carol Martin said there is a lot of work to be done, but advised the group to keep in mind and focus on what the group can reasonably affect. "We want to know what is practical," she said. "We don't want to live in the land of the pipedream." Rising to the top of the list is workforce development and training, followed by transportation issues, energy costs, access to capital/insurance and state bureaucratic barriers. "From these priorities we may form smaller working groups to devise strategies," said Dorsey. "We are looking at what we can accomplish short-term, midterm and long-term. We are also looking for some near-term wins." Dorsey stressed that in just the first two months of the cluster, some issues, like transporting wide loads, in this case logging equipment, after dark has already caught the attention of the Maine Department of Transportation Commissioner and a meeting is being set up to brief the newly formed MaineDOT Commercial Motor Carrier Committee. Following the initial four meetings of the cluster, an action plan will be developed, from which strategies will be derived to achieve goals and objectives and identify those that will lead/execute/implement the action plan. 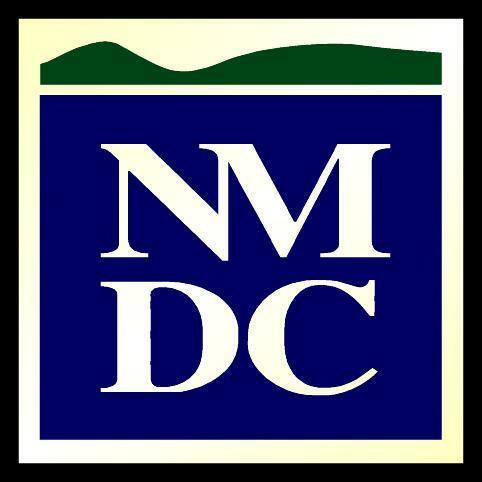 The cluster, organized by APP and supported by NMDC through grants from the Maine Technology Institute and USDA Rural Development, will meet again April 2 at NMDC in Caribou. Before that meeting takes place, the steering committee will refine the goals and objectives and revise the opportunities and challenges document to be distributed to cluster members. "I am looking forward to developing the list of actions in the next meeting," added Dorsey. "I can see progress already. The forest products industry represents more than 6,750 jobs in Aroostook County and is the major economic engine of the region. By getting together large landowners, loggers, mill owners and operators, forestry consultants, educators, representatives of elected officials, financial institutions and others, we can accomplish more collectively than companies can individually."